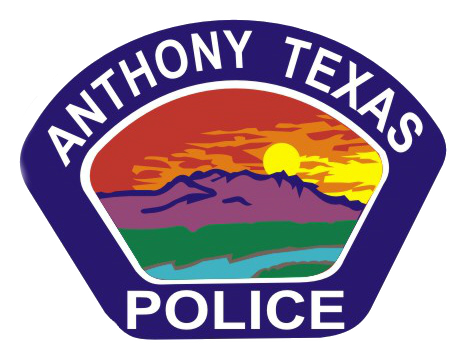 The Anthony Police Department provides Amber Alert cards for juveniles under the age of 17. Contact the Anthony Police Department for more information. Scheduled events will be posted for future dates. Animal services is currently contracted with the City of El Paso. For more information click on the icon to visit the website. Copies of motor vehicle accident reports and incident reports can be obtained at our main station at 401 Wildcat Dr from 8: 30 am to 4:00 pm Monday through Friday only. Accident reports cost $6 per copy and incident reports are $10 per copy. Motor vehicle accident reports are also available through the Texas Department of Transportation within ten business days of the incident. A photo ID is required for all report requests.